Nothing is straightforward about this hole. Literally! The ground slants from left to right the entire fairway, which makes for a bit of an optical illusion. It looks simple, but it isn’t! 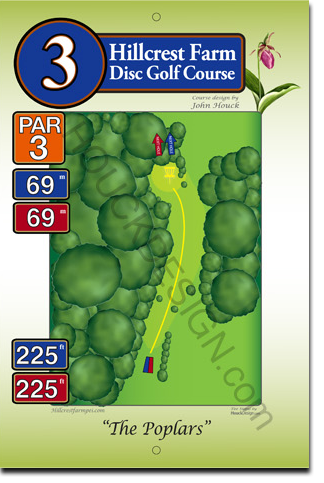 The fairway runs through a grove of old poplar trees, with the basket tucked away uphill on the left of this par 3, 69 metre hole.